Éamon de Valera and two other Sinn Féin revolutionaries escaped from Lincoln Gaol (prison) in England on Feb. 4, 1919. The Irish republican leader was spirited back to Ireland on Feb. 20, where he balanced the need to evade British authorities with the desire to communicate with the Irish people, including the diaspora in America, which he knew was critical to support for the fledgling republic. American journalist Ralph F. Couch, a United Press correspondent, claimed he “found” de Valera, or was provided the opportunity to interview the escapee. The reporter was taken on a two-hour, late-night drive on winding country roads near Dublin, pushed into a second car, his cap pulled over his eyes, before finally being ushered up a stairway and let into a room. Couch obtained a signed statement from de Valera, smuggled it out of Ireland, and returned to the United States, “thus insuring safe delivery to New York of his information without interference by the censors,” United Press reported. The Feb. 24 interview was not published until the middle of March. In addition to appearing in mainstream U.S. dailies, the interview was published on the front page of the March 15 issue of The Irish Press, Philadelphia, which had direct ties to the revolutionary government. Secret Meeting With Newspaper Correspondent Near Dublin. “Violence will be the only alternative remaining to Irish Patriots if the Peace Conference at Paris fails to take steps to extend self-determination to Ireland. The means continued revolution until Ireland’s rights are recognized,” de Valera said in the interview, now two months after the first meeting of Dáil Éireann, parliament of the provisional republic, and early skirmishes of the Irish War of Independence. 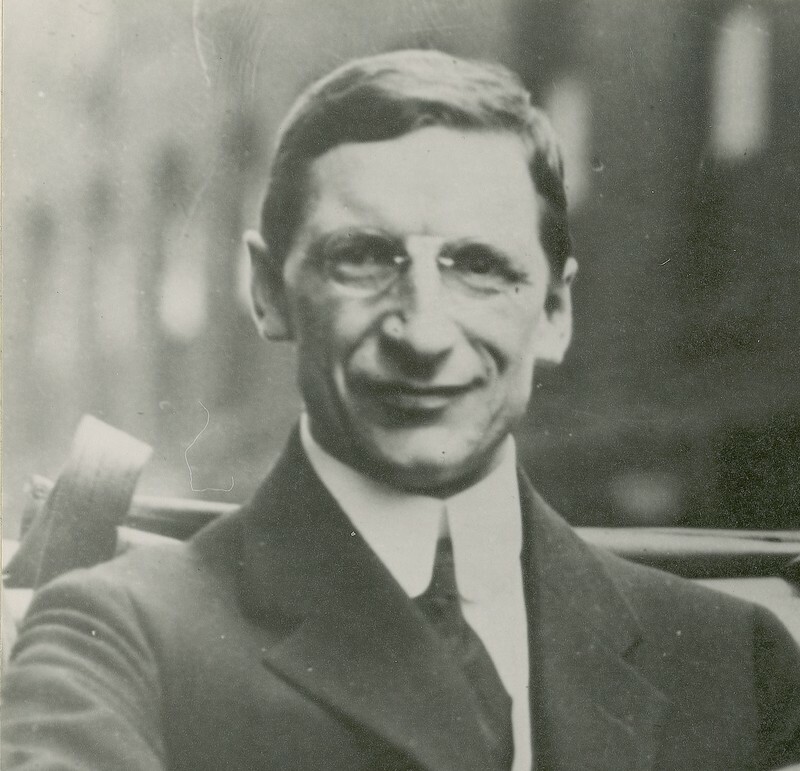 Eamon de Valera during his 1919 tour of America. Another Chicago correspondent, Ruth Russell of the Daily News, also interviewed de Valera in late March. The reporter promised that soon “de Valera will let himself be seen in Dublin.” On April 1, he was named president of the second Dáil Éireann. In June, he sailed secretly to America to begin a campaign for political recognition and funding for Ireland. AP in The Boston Globe, March 28, 1919 p. 7, and other papers. The New York Times, March 29, p. 3. Story is datelined March 28, 1919. It has no byline; Houston Post, March 30, 1919, p. 48, with byline. Chicago Daily News, March 29, 1919, p. 4. This entry was posted in History, Irish America, Irish War of Independence, Journalism and tagged Eamon De Valera, Henry Hyde, Ralph Couch, Ruth Russell on March 28, 2019 by admin.